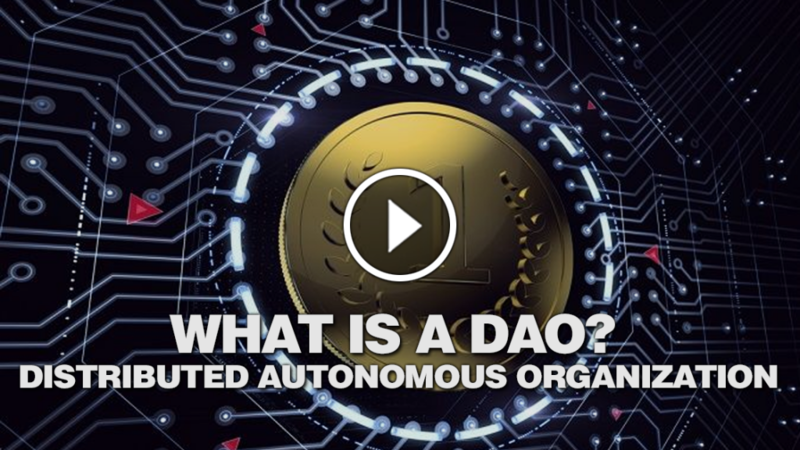 What is a DAO distributed autonomous organization ? These days, it’s hardly surprising to hear that a hot new startup has received gobs of money from eager investors. But a new company called the DAO (short for “decentralized autonomous organization”) is not your average startup. The DAO, designed to serve as a kind of venture capital fund for the cryptocurrency community, is the first of a new breed of business. It has no CEO and no staff; indeed, it has no human management at all. The company itself is simply software that runs on a blockchain, the technology that powers digital currencies like bitcoin. Through its first three weeks, the DAO raised over $130 million from tens of thousands of global investors, and it’s not done yet. But regardless of how the company fares, its mere existence portends profound changes for business, government, and the roles that people play in our economy. Analysts have questioned whether the DAO is legal or viable. Like any startup, it may fail. It may have attracted investors who don’t understand the risks. Some investors may be speculators in it for a quick buck, in turn, reducing the size of the fund. It may be attracting criminals or terrorists masquerading as entrepreneurs. To be sure, these are important concerns. Even more significantly, the distributed autonomous enterprise raises the intriguing possibility that software could ameliorate, or even eliminate, some of the most vexing problems of management and mass collaboration. Consider the impact of software that automates important aspects of governance and decision-making in a firm. Companies like this have no executive team, board of directors, or assets other than code. This could eliminate the possibility of managerial wrongdoing and incompetence. Such an organization will do what it’s coded to do, which is to act in the interests of those who hold its tokens. In the case of the DAO, the tokens are valued in Ether, the cryptocurrency of the Ethereum blockchain on which the DAO runs. Meanwhile, stakeholders can review and vote on proposals for how the DAO will allocate its funds. Think about that for a moment. With such a company, there is no information asymmetry between management and stakeholders, because there are no managers. Nor is there room for moral hazard, where managers may behave contrary to the interests of their customers or clients, taking outsized risks for personal gain because they know they won’t suffer the consequences. There would be no way for the heads of an electronics conglomerate to overstate their earnings by $2 billion over seven years, as Toshiba’s did. Sports league officials couldn’t take bribes in exchange for hosting or broadcasting rights to big sporting events, as FIFA’s did. For regulators, there’s a lot to love here. However, a DAO could act like a regular corporation in many other ways. It could invest in new businesses, support social causes, or back political candidates. It could hire lobbyists and a legal team to represent its interests and advocate on its behalf. Using smart contracts—agreements written in code that self-enforce—a DAO could do pretty much what any organization could do, with one important exception. On the blockchain, there is no way to override agreements, mission statements, corporate values, or operating principles without broad stakeholder discussion and consent. A DAO also offers perfect financial transparency. This is a tantalizing prospect for engaged and frustrated investors alike. The company’s finances are visible on the blockchain to anyone, not just its accounting department. (Of course, there is no accounting department.) Its corporate charter is enshrined in code for all to see. That’s only the beginning. The software could also be used as a platform for integrity, a trust protocol of sorts, within traditional corporations. Stakeholders could participate in organizational governance directly and regularly, rather than by proxy or once a year at shareholder meetings. Such an entity could also hire any human being or group via a smart contract on the blockchain, not through an HR department or procurement. Contractors would know the rules and norms for acceptable behavior and achievement in the collaboration, because they would be encoded in work orders and performance metrics. When they completed the job as specified, they could get paid immediately, not weeks or months later. Stakeholders could receive dividends immediately, too, since real-time transparent accounting on the blockchain would make year-end reports unnecessary. The organization would hum along according to the trust protocols that governed it. Imagine a global IPO with 100 million shareholders, each contributing a few pennies and voting their shares. That’s governance on a massive scale. At last, investors at the bottom of the pyramid could participate and own shares of a wealth-creating venture anywhere in the world. Anyone could design a corporation without executives—just stakeholders, money, and software. We are not predicting a future in which there is no need for people in business. Human stewardship will be critical for these new kinds of business to succeed. In fact, in the last few days, surprised (perhaps alarmed) by the staggering success of the crowd-sale, the founders and early investors in the DAO have called for a moratorium on investment proposals for funding by the DAO. Among other things, they worry that bad actors could exploit the DAO to fund undeserving or fraudulent projects, or manipulate the value of tokens at the expense of the DAO as a whole. So while the DAO code may run itself flawlessly, it is unable (for now) to fix itself in real time. Human problem-solvers can. Time will tell if they will succeed. We think it is no accident that the DAO’s stated values include democracy and non-exclusion. Time will tell whether it can reach those loftier goals. But if it can, we may finally be able to democratize opportunities for prosperity and wealth. For anyone who cares about the integrity of the organizations that fuel the economy, the DAO is worth a close look as an alternative model of governance, collaboration, and performance. 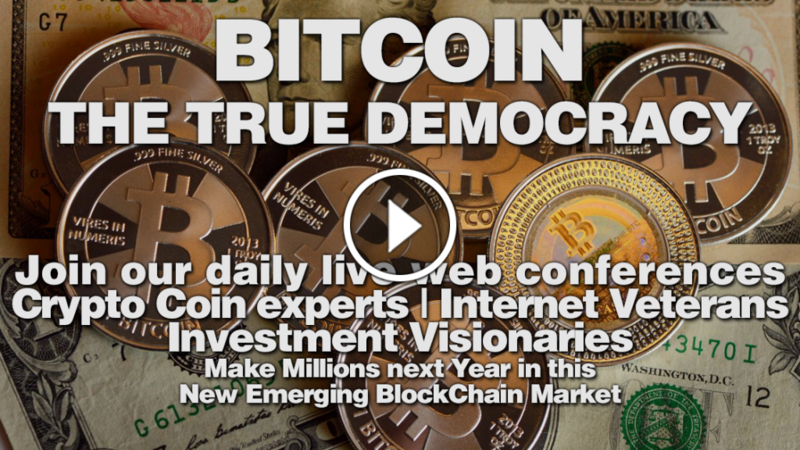 Bitcoin: The True Democracy -Do you want the option to turn $50,000 into $3 million? Do you want the option to turn $50,000 into $3 million? Wait, and also received $100,000 in private stock in a rising emerging state of the art Market Network, and that $3 million potentially turning into billions within a few years even within one year? Visionaries, Internet Geniuses, and Network Wizards will be hosting the next webinar where you will understand what the Brexit effect, the Trump effect represent in the economies of 2017 and how you could make a modest investment today and become a multi-millionaire next year. If you had invested $50,000 into Bitcoin at its beginning you would be worth $4.8 billion today. That was the first wave of what is to become a series of waves each one a bigger wave than the last one. We are now staring at the next wave. It is right in front of us. The True Democracy how the Blockchain not only brings wealth to the common man and woman, it also prevents war. Because the blockchain ends usury and usury is needed to finance war. So the blockchain architecture ends the ability to wage war. Stefan Molyneux (A brilliant and very nice guy) discusses why war becomes obsolete in the decentralized world of the blockchain. Make sure to join our conferences, you can find the calendar for our meetings in our calendar here. Digital Alchemy: The greatest opportunity is upon us. I turned 39 when I entered the Internet with my Mosaic browser, Macintosh and experienced html 1.0 for the first time in 1992. As it was with the Internet, (I was there at the birth) the pundits and critics claimed it was too complicated and would never succeed. It surged forward and changed the world, made many wealthy and laid the foundation for millions of new inventions. It certainly changed my life. I made a few million myself, but was quick to squander it in those early days. It was at this frontier I built the first self-replicated website, the first online interactive application, the first self-replicating PDF and by 1996 had built the first automated marketing system, which had the first email auto responder, the first of what was called Traffic Portals and the first massive broadcaster (The Hammer) all of which was the foundation of what is known today as Inbound Marketing. I custom built (private labeled) these Automated Marketing “Social Networks” for over 70 MLM companies in the 90s. Like Search Engines and “nobody ever envisioned Google would crush Yahoo” and surge forward delivering more technologies and again changed the landscape of business. Next was the emerging Social Networks. Pundits claimed they would represent Web 2.0 and change the industry and become a trillion dollar industry and it did. First to claim notoriety was “MySpace” soon to be crushed by heavy weight Facebook. Imagine buying a piece of Facebook back then like Peter Theil did. He dropped $500k into FB and is now worth Billions. LinkedIn, Twitter, Pinterest, Instagram, Youtube all and mush more turned snot nosed visionaries into billionaires. My Bitcoin perspective goes way back to the beginning of the Internet. I remember folks saying the Internet was too complicated and would never really amount to anything. Perhaps many of you do as well. Fast forward to 2009 and the birth of Bitcoin occurred. It had many ups and downs but it surge forward. If you or I had purchased $1000 worth of bitcoin in 2012 at.008 cents per coin, today that purchase would be worth $93 million today, cash, based on the USD. It is now being projected Bitcoin will reach $1 million, PER COIN! Many experts agree: Raoul Pal (former GLG Global Macro Fund and Goldman Sachs funds manager) thinks Bitcoin could be worth $1,000,000 USD sooner than later. The bitcoin future may be the greatest door to wealth ever. Only education will direct us in the right direction. So let us get educated! Check the calendar for coming events. London-based bitcoin wallet provider Blockchain has opened its 10 millionth digital wallet. It comes almost two weeks after the company's cofounder and CEO Peter Smith told Business Insider the company would "pretty easily" have its biggest ever month for activity in November, following a surge in use after Donald Trump's shock election victory in the US. He told BI shortly after the election: "People are basically hedging against economic instability. It's a worrying time to be holding a lot of British pound or if you're America — people flee to safe haven assets. Bitcoin is one of those." Smith says in an emailed statement on Wednesday: "Hitting this milestone at this particular moment isn’t a coincidence. In the wake of the Brexit vote, the US Presidential election and a weakening Yuan, we have seen unprecedented levels of activity and transaction on our platform, which further suggests that people are embracing the need for a more globally accessible currency system, and one that does not exclude over one-third of the world’s population. "We are excited to play such an important role in powering the world’s shift to a more open, fair and accessible financial system." Blockchain lets people download software onto their computer that lets them open a digital wallet to store cryptocurrency bitcoin. The wallet, which lets people store their own bitcoin rather than hold it with Blockchain, can also be used to pay for things using bitcoin. 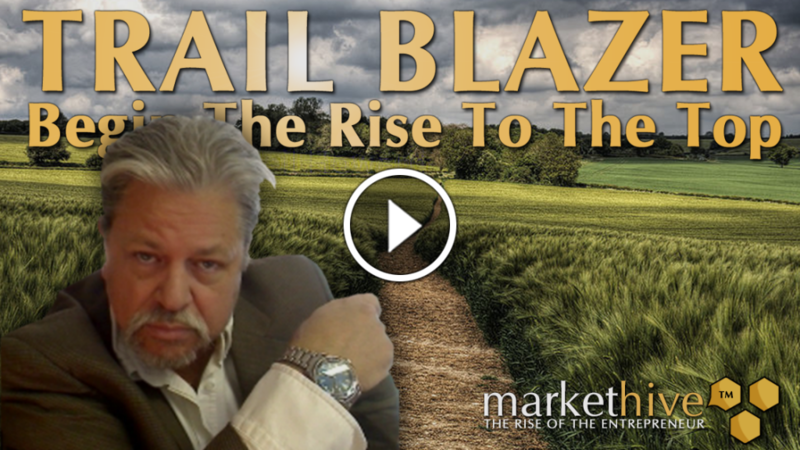 Get Ready for the economic revival tsunami! 12 years ago I owned a home in La Jolla, had 4 cars (BMWs and a Jeep) a yacht, 4 companies and a 7 figure income. And then it slowly started collapsing, higher regulations, deeper debt, etc. Then the housing crash, etc. Obama took over, huge spending and great corruption. Bottom line, right now I have nothing but one new ready to launch company (Markethive). All debt gone but all income gone too. I am just hanging in there. Now Trump arrives and I am more than hopeful. I am cleaning the rain gutters, digging the irrigation ditches deeper and restoring the reservoir dams. Do you know why I say that? It is during this time the true Jews are restored to their home (hint: they aint white). Trump is prophetic, even his name suggests that. He has already torn the deceptive veil back to reveal to the world the depth of corruption at hand. We are on the cusp of an amazing economic nuclear explosion. 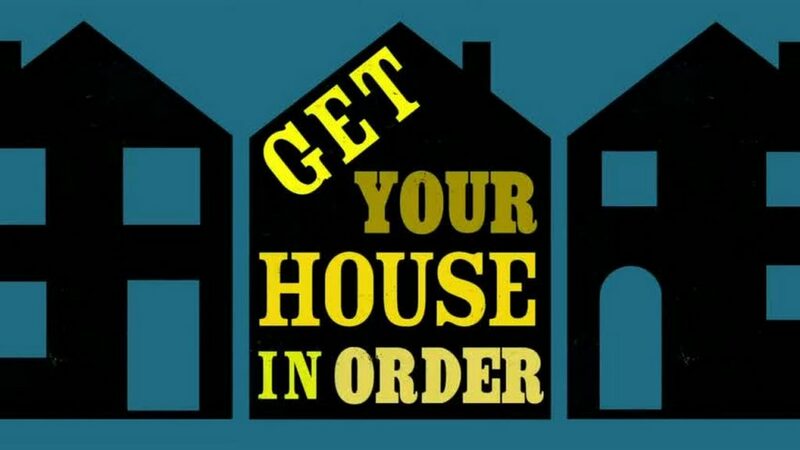 Get your house in order! Entrepreneurs are busy people. Many of us do realize the importance of business of writing and publishing an ebook, but we simply feel we don’t have the time to write a book, especially if you are already producing a lot of content with our blog(s). I can think of many types of books you can write fast—especially by blogging them—and turn them into short ebooks. I am an active blogger as you probably know by the volume I produce in Markethive. Case in point (and feel free to swipe them and make your own Ebook. An eBook on Inbound marketing. The same can be done for email, social marketing, SEO, etc. utilizing my and others who allow swiping in Markethive. You see, you have no excuse. Short ebooks can be anywhere from 15 to 100 manuscript pages in length. The completed book might be between 4,000-35,000 words long. This is, indeed a short book you write fast. Create a content plan for you short ebook, and then don’t make more work for yourself than necessary. Keep your chapters short. Don’t write more than necessary. Blog your book, or write it as if you were blogging it; sit down each day and write 500 words. Then make each chapter 1,500-2,500 words long, for example. Each chapter will consist of 3-5 blog posts (each averaging 500 words). If you have 10 chapters, you’ll end up with a 15,000-25,000 word book. Perhaps you have a Youtube video you want to transcribe, or you can easily narrate with a microphone like I do. Even transcribe live events. Whatever word processing program you use, keep an eye on your word count so you don’t overwrite. Remember: You are writing a short ebook fast. Let’s take a look at the seven types of short books you might consider writing or blogging. The point is the options are endless. By employing one of these seven short-book structures, you’ll write or blog your book fast. You’ll then be ready to get it edited, have a cover designed, and convert it into an ebook format. Before you know it, you’ll be using your short ebook (and maybe even a printed book, too) to promote yourself and your business. Many ebook publishers (and this could easily be you) make $200 or more per day selling their story, their knowledge, etc. in a ebook format. Combined with the viral and marketing power of Markethive many of you will learn how to produce a yearly income in excess of $70,000 a year. What would that mean for you? It would give you the needed revenue to build additional businesses, right? After all we are entrepreneurs! I (we) are pursuing funding for Markethive. It is a long and winding road. In this quest, we have met very innovative amazing people. Case in point James Wilfong a partner owner of an upcoming crypto coin company called MyCryptoWorld has an amazing system that is to the Crypto Coin market as Markethive is to the Inbound Marketing world. The friendships between MyCryptoWorld, Markethive and Greenfire is growing and is opening up some amazing possibilities. This is what we are talking about this Sunday. Come join me as I run the workshop system that lifts you up into entrepreneurial exceptionalism! 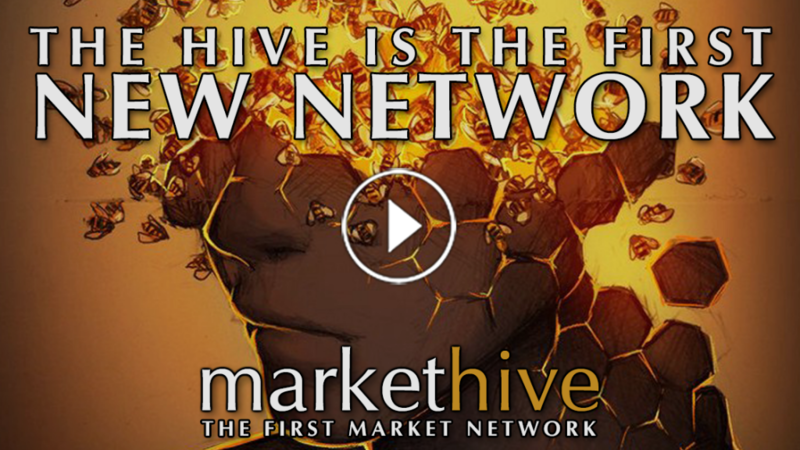 Markethive is a Market Network. That means it is basically broken down into 3 facets all integrated. All systems (Facebook included) have a learning curve. Our focus, our goal, is to deliver to you a gentle intuitive fun and rewarding learning process. We are in the process of turning the entire process into an automated structure. Regardless, this learning structure is designed to build you into a powerful , wealthy, successful entrepreneur. Most people would agree that an entrepreneur is a person who has started his or her own business. But that basic definition barely scratches the surface. It does little to capture the true essence of what it means to be a risk-taker, innovator and individual willing to carve his or her own path in a world that doesn't always take kindly to people who fail to follow the status quo. Are you itching to venture out on your own, but you wonder if you have what it takes to choose the road less traveled? Check out what these company founders and business leaders think makes a truly successful entrepreneur. However, before we venture further defining what exactly is an “entrepreneur” and other aspects breaking it down and related concerns like “venture capital” and the proverbial “entrepreneurial ecosystem, let me direct you along the paths of getting quickluy up to speed, as I believe that is exactly what you need. To succeed, attain structure, stability, vision and ultimately wealth. I made this simple little instructional video so you clearly see how easy it is to assimilate this ecocenter and huge powerful platform. OK now about being an entrepreneur! "The journey of entrepreneurship is a lifestyle for many of us; we are wired this way and have no choice. We are driven by an innate need to create, build and grow. In order to be a successful entrepreneur, you must have an underlying positivity that enables you to see beyond the day-to-day challenges and roadblocks, always moving forward. You must also be a master plate juggler, able to switch between thinking, genres and activities moment to moment. Most importantly, you must not be afraid to fail, and you must be comfortable living with risk and unknowns — a state of mind which is certainly not for everyone!” – Justine Smith, founder and CEO of Kids Go Co.
"Entrepreneurship is seeing an opportunity and gathering the resources to turn a possibility into a reality. It represents the freedom to envision something new and to make it happen. It includes risk, but it also includes the reward of creating a legacy. Anti-entrepreneurship is satisfaction with the status quo, layers of controls and rules that hamper forward movement, and fear of failure." – Maia Haag, co-founder and president of I See Me! Reid Hoffman Tells Charlie Rose: "Every Individual Is Now An Entrepreneur." Facebook, Twitter and Instagram all started life as revolutionary networks that brought existing real-world relationships online. Today, they are aging utilities, powering an outdated version of the social internet. As social networks like Twitter, Facebook, and Instagram grow larger, they skew disproportionately toward supernodes—celebrity, meme and business accounts. An estimated 8% of of all accounts are fake spam bots. The average Instagram user posts 2.69 times a day, while the average user with over a million followers posts 8.58 times. 80 million photos are posted a day, but the average engagement rate per post is 1.1%. On Instagram, 50% of posts are generated by less than 3% of accounts. Facebook is a bit more stable because it has a cap on the number of friends you can have. Still, original sharing like posting photos to your Facebook feed or updating your status is decreasing 21% year over year. If you want to survive, don’t just build a network. You have to build a hive, and eventually a hivemind. 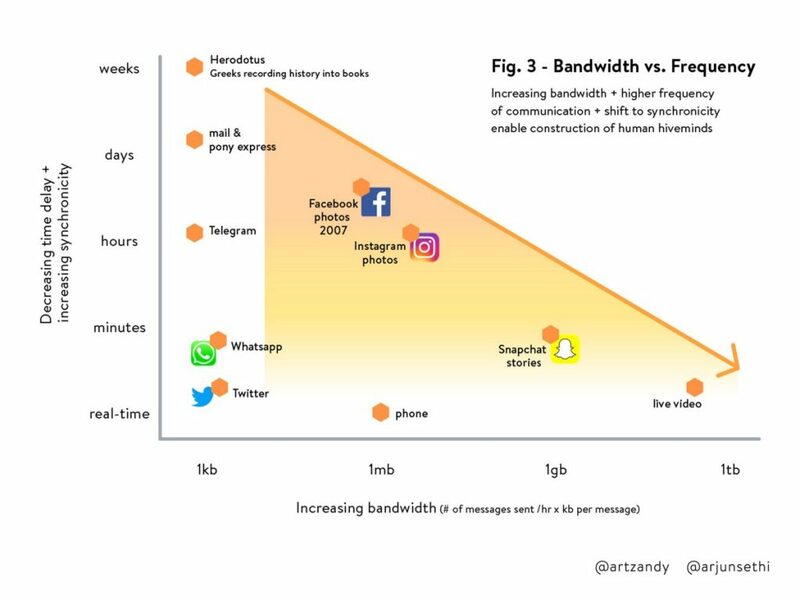 Even though some social networks have grown to include billions of people, the ramp up in communication hasn’t increased proportionally. Even as you add friends or follow users, you can only talk to so many. Facebook users with over 500 friends only actively communicate with between 10 to 20 people. Similarly, Twitter users who have follower counts of over 1,000 share strong ties with fewer than 50 of their followers. Myspace’s rapid user growth precipitated an equally rapid decline. It’s a cautionary lesson that growth in the network doesn’t equate to growth in business value. Networks can’t just be neutral. They have to be instrumental. A network connects different people and gives them many points of contact for communication and transaction. A network is a neutral description of how connections between composite parts form a system. As networks mature, we’re starting to see something completely new emerge. Google Maps gives us the distance between point A and point B, but Uber moves us from A to B faster. Facebook gives us a way to connect, but Messenger helps us to communicate. eBay allows us to buy anything online, but Amazon Prime gives us what we want when we want it. The value of being connected isn’t in being networked. It’s having an opinion and taking action toward an outcome. A single honeybee weighs around 1/10th of a gram. Add up all the honeybees in a hive, and you get around five to eight pounds worth of honeybeesâ—âbut you don’t get a hive. The beehive is an 80-pound mass that includes every individual bee, but is much more. Increases the frequency of interactions between nodes and creates more touch-points within the hive. It’s how the hive learns and makes informed decisions in response to a changing external environment. Decreases friction between nodes and creates a higher level of synchronicity between members of the hive. This produces stronger ties between individual members and allows the hive to act collectively. Because of the increased frequency of interactions, a hive behaves more intelligently, and because of the decreased friction between nodes, a hive can do more than transfer data. It responds and evolves based on that data. 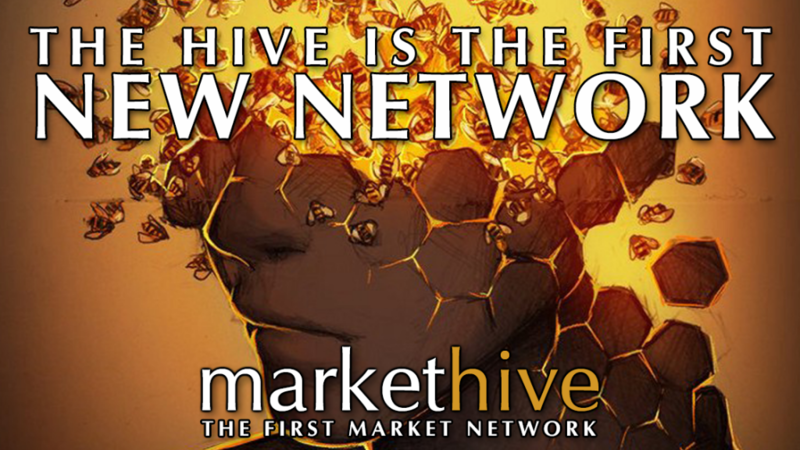 The hive isn’t just more networked. It’s more densely populated with organic, living components. Though not obvious, the hive is becoming central to the way we think, behave and interact. The best way to understand emergent human hives is to observe how hives operate in nature. An ant colony is so in sync that a mass of them can stick together to form solids or melt into fluids as a single body. By simply holding onto each other or letting go, the viscosity of a cluster of ants changes. They’re able to do so because of the high frequency of interaction between ants in a colony. For ants, communication is survival. If you apply pressure to a ball of ants, the ants nearest to the top will begin to act as though they are dead, increasing the fluidity of the writhing mass of ants. The harder the ants are pressed, the more fluid they become to absorb the pressure. The more ants there are linked together, the more pressure they can collectively withstand. What allows ants to adapt so quickly isn’t the content of a transmitted message, but the way one ant presses against another triggers a chain reaction through the entire cluster. It’s how ant clusters can form rafts to avoid drowning and build bridges out of their bodies to cross gaps. The fluidity of ants allows them to thrive in almost any environment. They’ve colonized every continent except Antarctica, making up 15–25% of terrestrial animals on Earth. Tools like Google Apps for Work, Slack and Github are making us more like ant clusters. They increase the frequency of interaction within an organization. People can communicate and switch tasks faster, make smarter decisions based on data and use smarter tools that talk to one another. Rather than being individuals sitting alone in cubicles, we’re like a cluster of ants crawling and moving around and on top of each other with shared tools that everyone can access. The image above on the left shows how email communication patterns follow organizational hierarchies at an HP research lab. The image on the right shows the pattern of developers collaborating over chat. 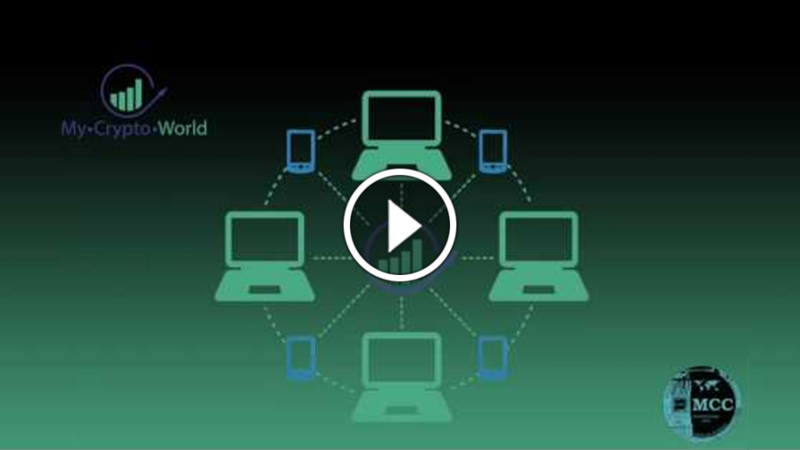 With a network model like email, you have to jump from one person to the next to get the information you need. In a hive, real-time communication occurs seamlessly between people. People to people interactions: With the hive, a higher frequency of interactions means that work can be assigned on an ad-hoc basis with a tool for real-time chat like Slack. People can switch jobs more rapidly based on what the hive needs. One study shows that the top 20% of developers were also the ones that chatted the most frequently. People to data interactions: What was specialized knowledge accessible via technical interfaces is now common knowledge exposed through conversational interfaces. Think Lookerbot for analytics and internal company data. Data to data interactions: The workplace hive gives us insight where we once only got reports. Tools that everyone in the company uses creates massive amounts of data, which helps people use tools more efficiently. This workflow data used to be valuable only as a system of record. Today, it produces actual business intelligence. The net result is a vastly smarter organization aligned around shared goals. With more interaction between workers and tools, a business can transform from solid to fluid depending on the needs of the hive. A swarm of bees on the move resembles the movement of neurons in the human brain. That’s how they’re able to colonize new nesting sites within hours of leaving their old one. This doesn’t happen through a centralized intelligence where the queen bee shouts down orders. Instead, it’s through the low-level communication of scout bees that reduces friction for the entire hive and allows for rapid and collective decision-making. A hive has around three days to find a new nest site before it dies. Finding the right home means exploring possible sites in a one-mile radius of the queen. The queen can’t go out and look at sites on her own, and doesn’t have the bandwidth to process every possible location that the scouts find and make a good decision quickly. Instead, scout beesâ—âwho represent 3% of the entire hiveâ—âare responsible for choosing the new hive. When it’s time for the hive to move, around 50 scouts are sent out to look for a promising home. When a scout finds one she likes, she does a “waggle dance” to signal the location to the other scouts. Scouts check out a variety of sites and dance around the one they think will help the hive survive. As soon as 30 or so scouts gather around a new nest site, the rest of the hive is already lifting off into the air. The decision-making process of bees reduces friction for how a massive collection of individual parts can evaluate a variety of inputs quickly and intelligently. Ultimately, 30 bees decide the fate for 10,000. While networks like Instagram and Twitter are beginning to wear thin, messaging apps like WeChat are frenetic hives of activity that build economic empowerment. 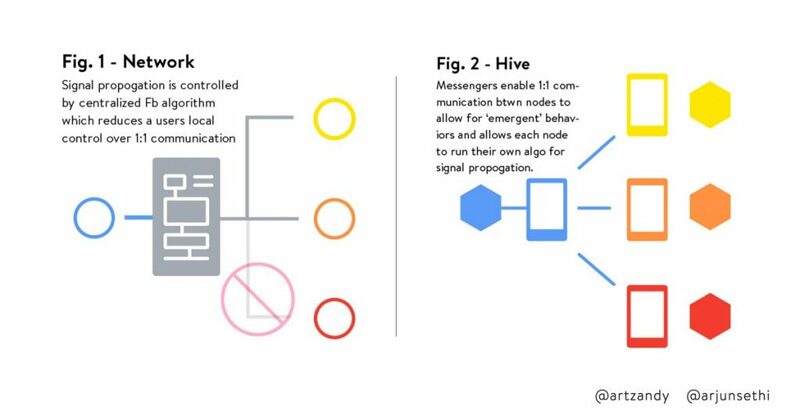 Like honeybee scouts, messaging apps decrease the friction of centralized nodes in the 1:1 communication between individual nodes and allow for emergent behaviors. WeChat began five years ago as a messaging service. Today, you can use it to pre-order dumplings from a street-vendor, call a taxi, read the news, and even buy a house. With WeChat, we see the evolution of a consumer product through the three stages of want, need and utility to the hive. At each stage, WeChat focuses on reducing friction by providing infrastructure for users. On WeChat, all it takes is a critical mass of people adopting new behavior to turn it into a utility that benefits the whole hive. Wantâ—â2011: When WeChat launched, it let you send messages, voice clips, photos and that’s about it. Over the next year, as China moved from 2G to 3G, WeChat gave users the ability to make voice and video calls. It automatically compressed videos people uploaded to save cellular data. People wanted to use WeChat because it allowed you to easilyâ—âand cheaplyâ—âtalk to other people. Needâ—â2012: WeChat users in China were often reluctant to download standalone apps because of high data costs. The launch of “official accounts,” or chatbots, emerged within these constraints. People could read the news or check bank statements via text message to an official account. Their needs were met entirely within WeChat’s platform. As WeChat grows, new utilities emerge on the platform. Each increases the time users spend on WeChat’s platform thus reducing friction between users. The latest progression of this is the launch of Applets, which will allow developers to build full HTML5 apps on top of WeChat. What drove WeChat’s growth wasn’t the launch of any one feature. It was the individual fruit vendors, taxi cabs, and mom-and-pop shops that WeChat made life easier for. In the long run, this might be the winning strategy. In 2015, 12,000 new companies were born on platforms like WeChat every day. The hive isn’t created from access to new functionality. It’s how new functionality creates new economic opportunity. The increase in the frequency of interaction and decreased communication friction of the hive can be traced to a move toward synchronicity between people over history. Once, a story passed down verbally from father to son turned into myth after a thousand years. The invention of writing and the first spread of literacy allowed the transmission of the first written history. As technology has advanced, the delay between the transfer of information has decreased. Paved roads allowed couriers to deliver messages, while cables wired along those roads enabled telegraphs and then radio broadcasts. Eventually, you got email, instant messaging, SMS, camera phones, all the way up to live video. As information networks become distributed from giant data centers to cellular towers and the cloud, the amount of bandwidth available to the individual continues to rise. We’re no longer limited to a broadcast radio model, where one signal is received by many nodes. Today, we send and receive higher quantities of data at higher frequencies, through texts, photos and videos. We sync with each other instantaneously, and all the time. This is what allows networks to converge into hives, from the individual to the organization. The function of the social network is to connect people and to grow the size of the network. What originally came about through increasing connections is now focused on delivering a better, more immediate experience. Our mission is to make the world more open and connected. Our top priority is to build useful and engaging products that enable people to connect and share through mobile devices and personal computers. 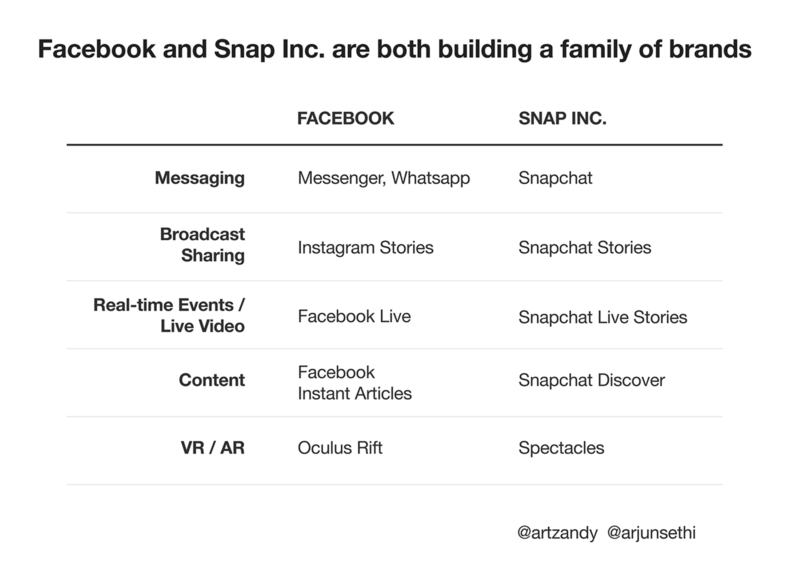 Facebook and Snap Inc. are both converging around how we communicate and share experience, and they’re doing it by building a family of brands. From the beginning, Snapchat has built itself around the camera and user experience. As the company moved from 1:1 communications to a broader platform for sharing experiences, this has not changed. Facebook’s efforts to mimic Snapchat’s ephemeral messages as well as its initiatives on products like Instagram Stories and its move into virtual reality through the acquisition of Oculus Rift all demonstrate a move away from the network, and toward a moments-driven hive. The original experience of Facebook was more connected, but also a lonely experience. You put one version of yourself online and lived another one in real life. The original Facebook showed a version of you that you wanted to see. Rather than alienating people, Facebook and Snap Inc. today are moving toward a vision of the future around creating real, shared experiences that actually bring people together. The map is possibly the most literal rendering of the network. A map connects physical locations together, and shows you how to navigate from one point to another. The autonomous car is built on top of the map, but it’s instrumentalized around actually taking you between points. Autonomous vehicles can be imagined because they’re built on top of the information networks of Google’s Maps and Streetview, projects that Google undertook to organize the world’s information. At Tesla, they’re building autonomous electric vehicles on top of their network of vehicle sales, service centers and Supercharger stations. Self-driving Teslas have already collected 100 million miles of autonomous driving data and 780 million miles of human driving data from the sensors it builds into each vehicle. Meanwhile, Uber is moving towards autonomous cars through the ride-sharing marketplace it has built. Through the Uber app, the company collects 100 million miles of driving data each day. In contrast, the average American only drives 15,000 miles a year. Why are all these vastly different companies converging on the autonomous car? That’s because for these companies, it’s about platform and hive, not just about roads without drivers. From the start, the company has always strived to do more, and to do important and meaningful things with the resources they have. The old Uber was black and white, somewhat distant and cold. This belied what Uber actually isâ—âa transportation network, woven into the fabric of cities and how they move. To bring out this human sideâ—âthe atomsâ—âwe’ve added color and patterns. For Google, the search giant, it’s about putting information to work. It is leveraging its massive data sets, of roads, driver behavior, and physical objects, and continuously feeding data back to the system. Uber, meanwhile, has evolved from a white glove black car service into a transportation hive. Through logistics and cleaner, cheaper interfaces, Uber directs human actions more efficiently through algorithms. The autonomous car was the next logical step. By allowing cars to get from A to B more predictably, autonomous cars will reduce the number of cars on the road, and the number of deaths in car accidents, and even the amount of money for insurance. The hive is what gives us a shot at collectively solving these seemingly impossible problems. A network’s value is traditionally tied to the idea of more—this is what’s known as a “network effect.” The more people and things there are networked, the more possible connections there are between nodes, and the more valuable the network grows. And yet, the world we’re moving to will be defined by the idea of more with less. Global warming and drought mean fewer resources to work with. At the same time, population growth is beginning to stall across America and Europe, and with it the “free lunch” economic growth that comes with a rising population. A hive is more than the sum of its parts. Through the hive, a network of drivers and riders also work as a turnkey resource that other services can be built on top of. For companies that operate as hives, sheer quantity matters less than it did for older generations of companies. By increasing interaction and decreasing friction between nodes, they accelerate growth through virtually unlimited, real-time access to data and people. Hives colonize instinctively as they grow, which is why we’re seeing so many companies converge around the similar trends. But the sequence that they grow in matters. The next big companies will have to do more than just pick the right trends. They’ll have to nail the right timing by moving in sync with their composite parts. They won’t just be hives. They’ll be hiveminds. Markethive has already reached this hive mind level. Interesting that others are suspecting this phenomena and here we are! The original and first Market Network.